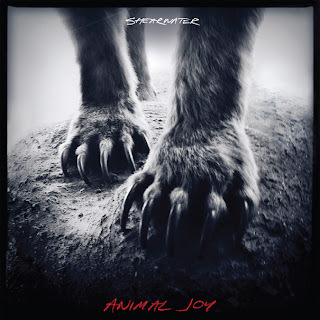 Atlas and the Anchor: Shearwater - "Animal Joy"
Shearwater return with their highly-anticipated new album Animal Joy, released today on their new label Sub Pop Records. Following the thematic "Island Arc" trilogy of their past three albums, the trio, led by former Okkervil River member Johnathan Meiburg, drummer Thor Harris and bassist Kimberly Burke have created a looser yet more personal and heavier, new album that captures the primal exuberance of the album's title. "Animal Life" opens album with gentle acoustic guitars, slowly building steam into a cathartic release with Meiburg's soaring falsetto. First single, "Breaking The Yearlings" features a propulsive, pounding beat, an elastic guitar line and a noisy passage made up of dissonant keyboards and feedback for a standout moment. "Dread Sovereign" follows with an understated arrangement and ethereal background vocals, showcasing a more darker pop side. The atmospheric second single, "You As You Were" features steady cascading piano and various fluttering synths and samples but really makes it's money with an anthemic and defiant chorus. "Insolence" alternates shimmering guitars with long, sweeping open chords set to a rickety beat and an equally cloud-scraping chorus. "Immaculate" is a short burts of fast-paced roots rock tethered only by Johnathan's crooning vocal melodies. "Open Your Houses" is reminiscent of the dark, 80's-like pop of The The and "Run The Banner Down" churns slowly with a soft tom-heavy beat, glimmering guitars. "Pushing The River" stands out with a busy beat and a dense arrangement of ringing guitars, synths and waves of haunting vocals. The 11-track album closes with slights nods to prog-rock with the tick-tocking piano-led "Believing Makes It Easy" and the spaced-out squelching synth outbursts of "Star Of The Age". Animal Joy finds the band on a new level, adding new twists and more muscle to their already supremely melodic and unclassifiable indie rock sound for their best album yet. Free Friday: Carsie Blanton - "Idiot Heart"